In today’s blog, we’re introducing a new series of posts, which we will feature throughout the year, centred around .au registrars. We’re calling this series .au Registrar Profile and it aims to give you a sneak-peek behind our registrars–their history, what makes them tick, and their advice to business owners on what’s important in the digital marketing space. 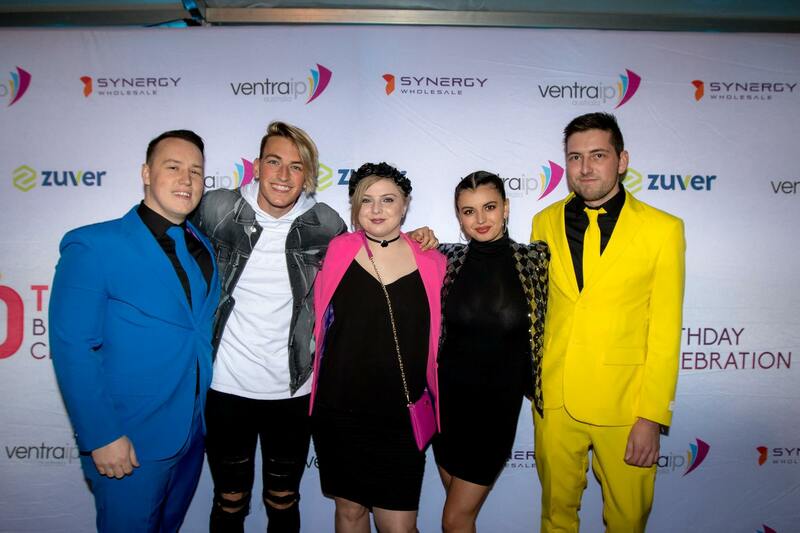 First off the rank, we spoke to Maddison Selleck from Aussie-owned, Aussie-operated registrar and hosting company, VentraIP. Where did it all start? Does VentraIP have your typical ‘started in mum’s garage’ kind of story that’s so common in tech? 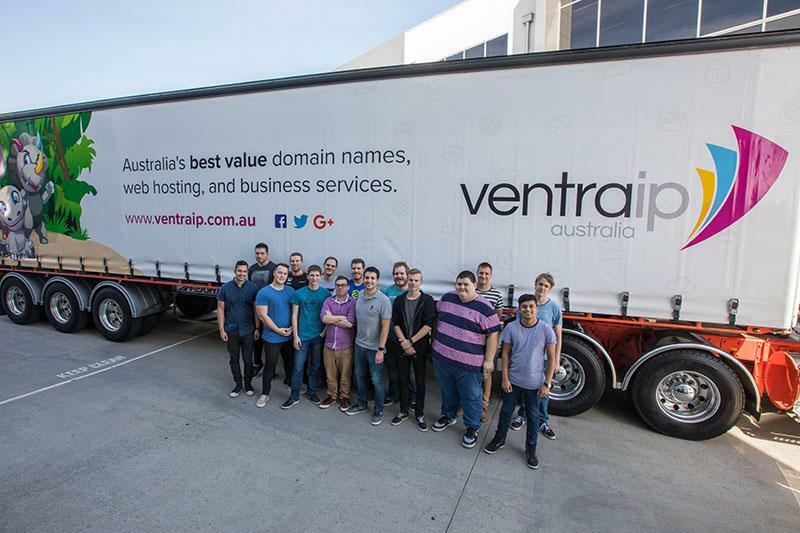 VentraIP Australia was founded in 2008 by four industry veterans who believed the Australian online community deserved a higher quality of service at a more affordable price. The story may not have begun in their mother’s garage but the first four years did take place inside the lovely living room of co-founder, Cheyne Jonstone's house! Congratulations on your recent tenth birthday! Over these ten years, which achievements really stand out? Being Australia’s largest privately-owned domain name registrar and web hosting provider, our greatest achievement would have to be the moment we went against industry trends and decided to bring our entire team back to Melbourne, offering 100% Australian support 24 hours a day, 7 days per week. Speaking of your Melbourne-based team, you have several members of the dinosaur variety - suborder, ventrasaurus - am I right? How did that come about? 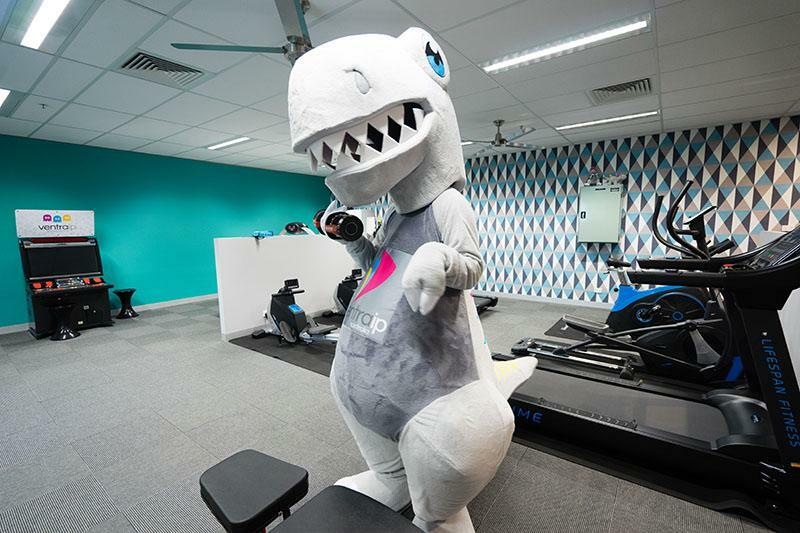 With so many years focused on providing Australian start-ups with a home for their online business, we decided that it would be a great opportunity to give back to our growing family by creating a mascot that could be enjoyed by their growing families. Our executive chairman has a profound love for the Teenage Mutant Ninja Turtles but we simply couldn’t bring ourselves to make our mascot one of the slowest animals on the planet! So, we adopted the ventrasaurus to be a fast, powerful, but friendly brand mascot. Even a ventrasaurus has to keep fit, right? Tell us about your office in Narre Warren. Why not the CBD? Being located in the SE suburbs helps promote staff engagement by giving employees who may not have the means to live closer to the city an opportunity to be close to the office. It’s also given us the freedom to create one of the most amazing workplaces in Victoria! 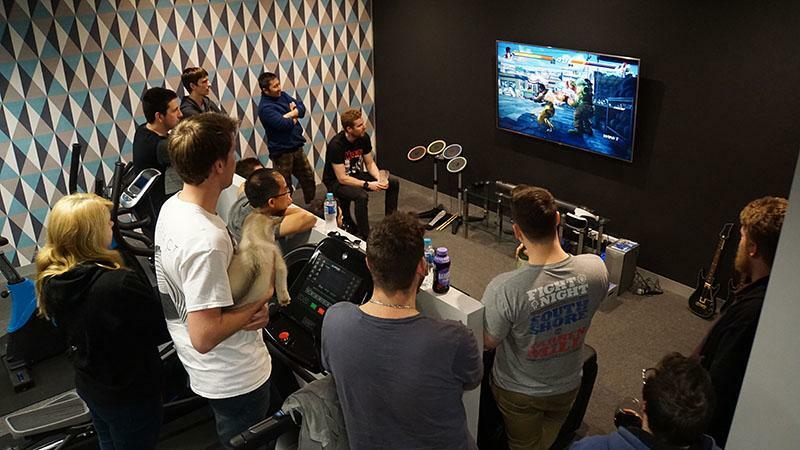 Suffice to say VentraIP isn't a boring place to work! That, it is! 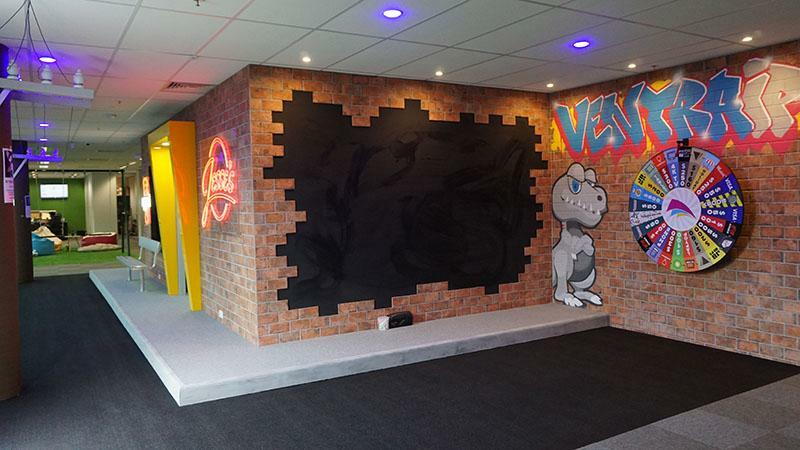 With Google recently setting up an office in Melbourne, I reckon you give them a pretty good run for their money. Let’s focus in on Australia for a sec, especially the .au namespace. What are the benefits of .au your team communicates to registrants? A .com.au domain name tells your customer that you’re located right here in Australia. Australians can be extremely patriotic and we’re fortunate enough to have one of the most secure online spaces in the world, so if you’re an Australian business, then a .com.au domain name just makes sense. And those new .au registrants, what do they need to know about when registering a domain name and web hosting? Keep your domain short and sweet. Long web address - people won’t remember it! When it comes to web hosting, you should avoid cutting corners. We see so many SMBs make the transition online, opting for the cheap and nasty route…this will almost always cost you more in the long-run! Let’s close this by looking forward to the next 12-24 months. What does the future of digital marketing look like? What should small business owners be focusing on? The relationship between individuals and brands has flipped, empowering the consumer and making it more important than ever for your business to find a way to really distinguish itself in the online space. Creating engaging content that provides real value is a relatively easy way to connect with your customer, helping convert them into full-blown brand enthusiasts! Great advice! Thanks for your time, Maddison.